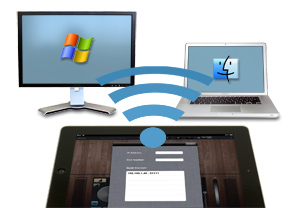 KillerKeys Express iPad App is an iPad App that controls your computer using a WiFi connection. The iPad App displays shortcuts for the application you are working in on a virtual (VR) keyboard on the iPad, and includes a track pad, widgets, Quick Launch and Active App switching for complete control of your computer. To enable complete control over your computer, we've created a custom keyboard for the iPad that matches the keys found on your computer, such as Control keys, arrow keys and F keys. And because we're all about the shortcuts, you can switch the keyboard to our VR mode, where the keys will show the shortcuts with color grouping for the application you are in. The keyboard is conveniently positioned at the top of the screen, so you can use the VR keyboard with your trackpad and widgets. Many applications assign more than one shortcut to the same key (or key combination), so the meaning of the shortcut changes based upon which mode of the application you are in. For example, in Premiere Pro, the "O" key has both "Mark Out" and "Rotate" assigned to it. Keys that have multiple shortcuts assigned have a dotted separation bar (rather than solid). To switch the name on the key to what you use most, simply press and hold the key and a selector window will appear. The KillerKeys Express iPad App includes convenient widgets to help you navigate your applications. The multimedia controller widget alters it's behavior depending on that application you’re in: for example, in Adobe Premiere Pro, the jog wheel will move you frame by frame through your video footage, while in Word, it can move your cursor a character left or right. The jog wheel and buttons on the multimedia widget are assignable. Other widgets include a zoom slider that is uniquely tailored for each application and a universal volume slider. KillerKeys Express supports over 100 applications, covering over 30,000 keyboard shortcuts that are broken down into Editions designed to fit your needs. There is the Business Edition which has application shortcuts for programs such as Microsoft Word, Excel and PowerPoint. 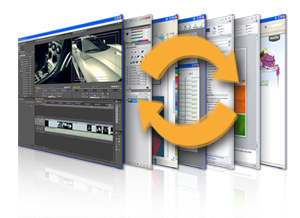 The Creative edition covers programs such as Adobe Photoshop, Avid Media Composer and Maxon Cinema 4D. Can't decide? Get the Master Collection, which contains both the Business and Creative Editions. 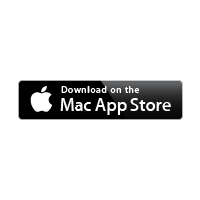 The free KillerKeys Express iPad App is now available through the Apple iTunes store - click here to download it now! (Requires iPad generation 3 or later).